We are in the people business. 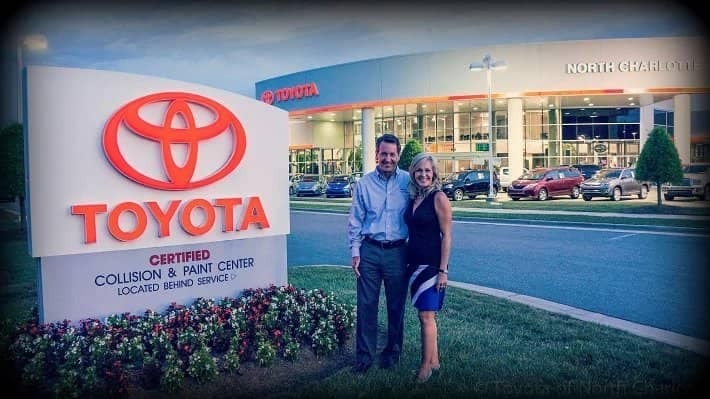 Toyota of North Charlotte has a strong culture that values teamwork, customer and employee satisfaction. Toyota of North Charlotte currently seeks several self-directed and goal-oriented individuals to join our growing team! Toyota of North Charlotte’s mission is to be Charlotte’s automotive leader in vehicle sales and service. We achieve this by providing extraordinary owner experiences through continuously developing passionate associates who share our desire to always be better. Our Performance Standards are based on Professionalism, Development of People, Honesty and Integrity, and Quality. We’re ALL Salespeople and committed to being the best! Full-time employees of Toyota of North Charlotte receive competitive salaries and benefits. The health and well-being of our people are important to us so we provide every employee with a range of benefits. Click here to apply online. 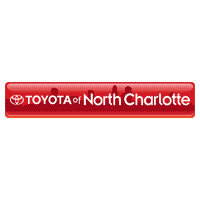 Toyota of North Charlotte only accepts online applications. Due to the high volume of candidates, we will only contact those individuals with whom we have interest in proceeding with. If you do not find the exact position you are looking for, we are always accepting resumes for positions in Sales, Customer Service and Fixed Operations. You may submit your cover letter and resume to careers@toyotaofnorthcharlotte.com. If you have questions about Toyota of North Charlotte please contact us. Toyota of North Charlotte currently seeks several goal-oriented individuals to join our Business Development Center. We are looking for qualified candidates who have call center or telemarketing experience. This opportunity involves all inbound sales calls and internet leads generated by our website. Because our Business Development team adds such value to our overall mission of being the #1 dealership in Central Florida, we reward them in ways that allow their own passion and talent to determine their earning potential. Qualified applicants will be team players who display a controlled confidence and professionalism to both internal and external customers. Excellent phone/customer service skills are imperative. Toyota of North Charlotte currently seeks several self-directed and goal-oriented individuals to join our Sales and Customer Service team. We’re looking for candidates who have sales, customer service, customer relations and/or telemarketing experience! The Product Sales Specialist will build relationships with customers while discovering their needs and concerns. They also demonstrate ability to work collaboratively in a team focused environment to ensure the ongoing growth of the business. The Sales Specialist is responsible for producing additional revenue for the dealership by selling Finance and Insurance products to new and used car customers while achieving a high level of customer satisfaction. The Finance Representative is responsible for producing additional revenue for the dealership by maintaining good working relationships with several finance sources, submitting accurate and timely paperwork according to the company’s policy and procedures while achieving a high level of customer satisfaction. The Automotive Secondary F&I (Finance and Insurance) Manager is responsible for producing additional revenue for the dealership by selling finance and insurance products to new and used car customers and achieving a high level of customer satisfaction. Check all paperwork for correct title, lien information, taxes, etc. The Automotive Technician will work to properly diagnose, repair and maintain customer vehicles, while producing quality flat rate hours.